Kindle Worlds is a publication platform where you choose a licensed World, read the Content Guidelines for that World, write your story, upload that story, create a cover, and click through a publishing agreement with Amazon Publishing. 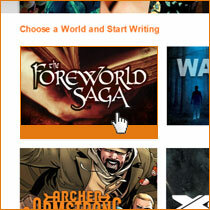 Once published, every Kindle Worlds story will be featured on Amazon.com, as well as on Kindle devices and apps. Follow the steps below to publish your story today! Select a World and read the Content Guidelines. Read the Kindle Worlds Publication Agreement. 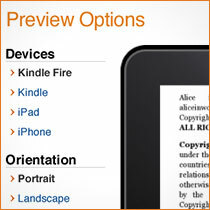 Read the Kindle Worlds Content Quality Guide. Enter your information to receive royalty payments. Accept Content Guidelines and Kindle Worlds Publication Agreement. 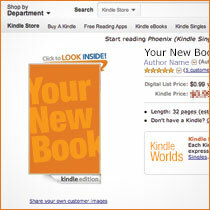 Kindle Worlds will review your story to make sure it follows Content Guidelines. If it does, we will publish your story and notify you. If it does not, we will let you know so you can edit and resubmit. 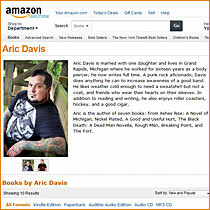 Sign in and create your Author Page on Amazon.com. Track your sales and earnings. Discover ways to interact with your readers.